Although a growing body of evidence suggests protective behavioral strategies are associated with lower alcohol use among college students, we know little about what contributes to students’ decisions to use these strategies. Alcohol outcome expectancies have been associated with alcohol use among college students, and may contribute to their decisions to use protective behavioral strategies while drinking in contexts associated with an elevated risk for heavy alcohol use. University football game tailgating is one high-risk context that has received limited empirical attention with respect to identifying risk and protective factors for use. We sought to determine whether expectancy effects on tailgating drinking may be attributable to the approach or avoidance of protective strategies in this context. We expected college students who perceive greater positive expectancies to report engaging in more protective strategies on game day, whereas we hypothesized greater negative expectancies would be associated with less use of protective strategies. College students (N = 231) reported outcome expectancies online within 7 days of tailgating and quantity of alcoholic drinks consumed while tailgating, as well as whether they used limiting consumption (i.e., counting drinks, alternating drinking water and alcohol) and harm reduction (HR; i.e., sober transportation) strategies 48 h after tailgating. Results indicated higher positive expectancies were associated with greater use of HR strategies. Positive expectancies were indirectly positively related to greater game day tailgating drinking and negatively to odds of abstaining through the use of protective strategies, and unique indirect effects were observed for HR strategies. 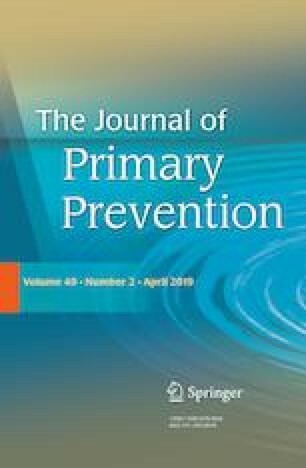 These findings highlight important individual differences that contribute to the use of protective behaviors, and suggest that expectancy-challenge interventions may be tailored to address unsafe drinking practices and promote college student health. Preparation of this manuscript was supported by the National Institutes of Alcohol Abuse and Alcoholism grant 5R01AA014576-09 (PI: Clayton Neighbors). Amber Anthenien declares that she has no conflict of interest. Gereon Fredrickson declares that he has no conflict of interest. Nathaniel Riggs declares that he has no conflict of interest. Bradley Conner declares that he has no conflict of interest. John Jurica declares that he has no conflict of interest. Clayton Neighbors declares that he has no conflict of interest.